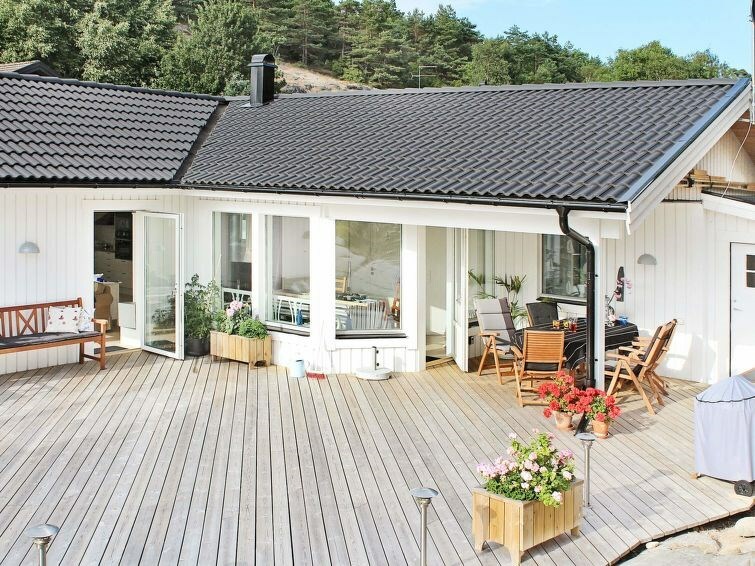 This attractive, spacious holiday home is set only 500 metres from the water, on Orust in Bohuslän. The one-storey house is open plan-style. It features a large, combined living room, kitchen, and dining area. 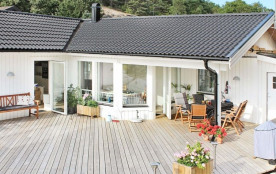 Outdoors there is a lawn and a spacious, wooden terrace that is partly roofed. The house features three comfortable bedrooms. The living room has a comfortable sofa area with a TV and 30 channels. One bathroom. There is a lovely, child-friendly beach and a pretty boat dock just a fifteen minute walk from the house (about 1,5 kilometres). Built in 2011, the house is well-equipped, and includes a dishwasher, a washing machine and a woodburning stove. The windows are large, which makes it bright and airy indoors. Located close to the water, 3 kilometres from a grocers and a restaurant, this is a perfect place to spend your holiday. After a day of swimming and exploring, come back and enjoy a drink on the stylish terrace. Or why not have a barbecue? 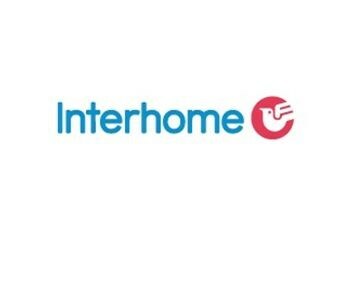 Welcome to this superb holiday home!